The authors proved the effectiveness of this approach in their courses at Stanford and Princeton, where their students learned to write substantial programs their first day in the classroom. 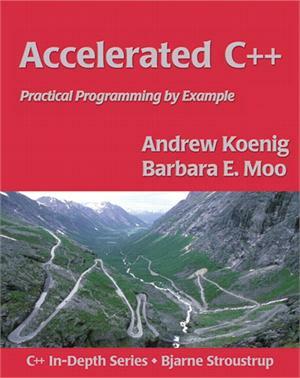 Whether you are eager to get started writing your first C++ programs, or you are already using C++ and seeking deeper understanding, the authors' unique approach and expertise make Accelerated C++ an indispensable addition to your library. Andrew Koenig is a member of the Large-Scale Programming Research Department at AT&T's Shannon Laboratory, and the Project Editor of the C++ standards committee. A programmer for more than 30 years, 15 of them in C++, he has published more than 150 articles about C++, and speaks on the topic worldwide.